Today was my final day at the AVMA Convention, but I wish I could stay through the lectures tomorrow! If anyone has to stay in downtown Denver for work, or pleasure, I highly recommend the Hotel Teatro, a cute, unique, boutique style hotel. The Teatro is just two short blocks from the Convention Center and within easy walking distance of many restaurants and shops. Today, the lectures I attended were devoted to two topics: dermatology (specifically otitis, or ear infections) and cardiology. 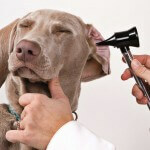 Ear infections are one of the most common reasons dogs and cats are brought to the veterinarian, and since they tend to be a recurrent problem, they are frustrating for all parties involved. 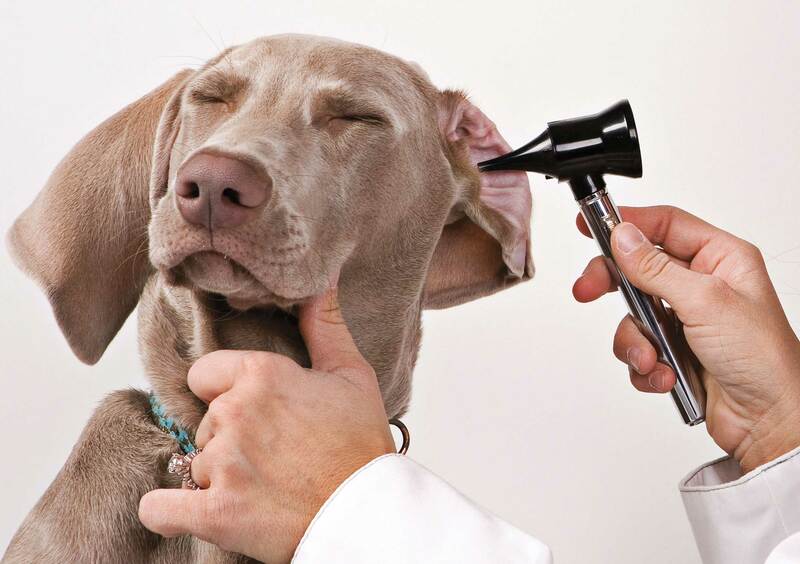 Today’s lectures focused on how to appropriately examine the ear canal with an otoscope, often a difficult challenge in a wiggly Labrador with a painful ear. The dermatologists spoke at length about the various “safe” ear medications and cleaners that can be used in case a ruptured eardrum is suspected or seen on otoscopy. Ruptured eardrums are surprising common in severe, or chronic cases of otitis; some topical medications can be toxic to the inner ear if given to a patient with a ruptured eardrum. The final otitis lecture I attended involved the diagnosis and treatment of otitis media, which is a middle ear infection. 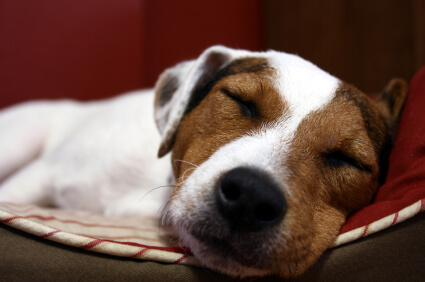 While it may be hard to believe that the greater portion of a day could be devoted to the topic of ear infections in dogs and cats, trust me when I say that otitis is incredibly common in veterinary patients. It is very difficult to cure, since the underlying cause for the infection is almost always rooted in a food or environmental (atopic) allergy. 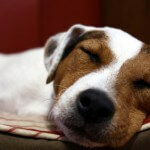 Without diagnosing and treating the underlying allergic disease, we find that ear infections return with a vengeance. With this explanation, you might be able to understand why these lectures were standing-room only! 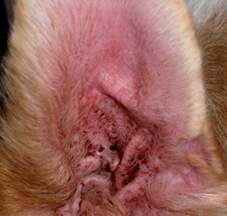 Veterinarians longingly hope there is a new, improved or “miracle” treatment for otitis in our patients; this is one of the reasons I always attend lectures on this topic. No miracle cure is on the horizon, but I did learn some valuable tips for chronic maintenance treatment in my otitis patients. The second portion of my day was devoted to cardiology lectures, given by Dr. Meg Sleeper, one of my former professors at the University of Pennsylvania. Dr. Sleeper’s talks were practical, and definitely tailored toward ways that the general practitioner can accurately diagnose and treat congestive heart failure (CHF). Dr. Sleeper acknowledged that not all of our clients can afford to spend upwards of $500 for an echocardiogram and workup with a cardiologist, so she gave us practical tips for how we can manage our patients with heart disease. One interesting takeaway for me from Dr. Sleeper’s lectures was that only 50% of cats with heart murmurs actually have structural heart disease. Only half! The other have just innocent “flow” murmurs, which are not associated with cardiac disease and will likely never cause complications. 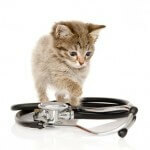 While I knew that flow murmurs were common in cats, I had no idea they represented half of the murmurs we hear; this is certainly an encouraging statistic to be able to share with clients. 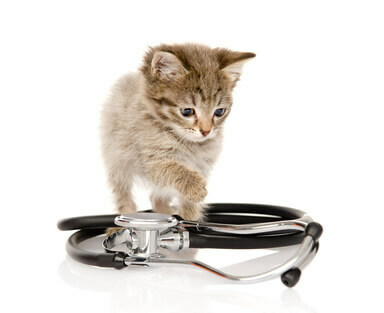 On the flip side, unfortunately, a good number of cats can have heart disease with no detectable murmur, which makes diagnosing cardiac disease particularly challenging in cats. Denver has been a great city for a conference. I’ve spent a fair amount of time in Colorado over the years, and remain consistently impressed with how dog-friendly and environmentally conscious this state is. There are recycling bins everywhere (yay) and even composting bins throughout the convention center (double yay)! I was surprised and disappointed to hear the clip-clop of horse-drawn carriages outside my hotel room window, however. Let’s hope that our major cities, Philadelphia included, will begin to phase out these carriages and find good retirement homes for the horses.